We believe that nutrient dense superfoods are easy to include in your diet and it doesn’t have to break the bank either. Here we have shared 10 easy ways to add more superfoods to your diet. 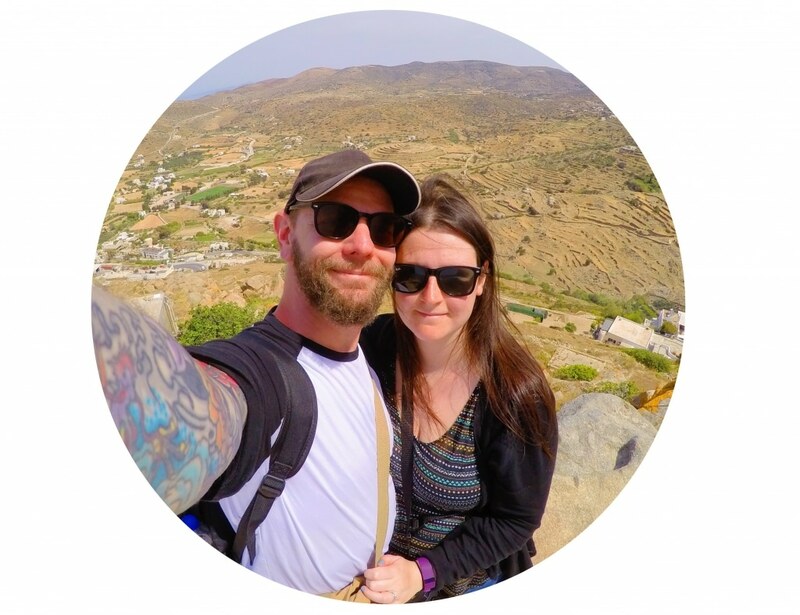 Superfoods is a bit of a loaded term and it’s thrown around a lot, and whilst there is no “official” definition, it is applied to foods that are nutrient rich and have many health benefits. Here at Hungry Healthy Happy we believe that all foods have a place in a healthy and balanced diet and there are no “good” and “bad” foods, but there are some nutrient rich foods that we do try to eat more of, and these are what are referred to as Superfoods. We have teamed up with Baxters, who have a new range of Super Good soups that are packed full of superfoods, to show you some easy and affordable ways to include superfoods in your diet. Superfoods don’t have to be a fad, they can be part of your everyday shop. Eating one portion of these foods once isn’t enough to overhaul your diet, just because it’s a superfood. But making consistent healthy choices and including more of these in a balanced diet can lead to a healthier and happier you. Here are 10 ways we include these nutrient rich foods in our diet every day. Blueberries are a great choice for one of your five a day, because they are low in calories and a good source of vitamin K and C, fibre and magnesium. Not only do they make a tasty and easy snack, but you can add them to so many breakfast options. 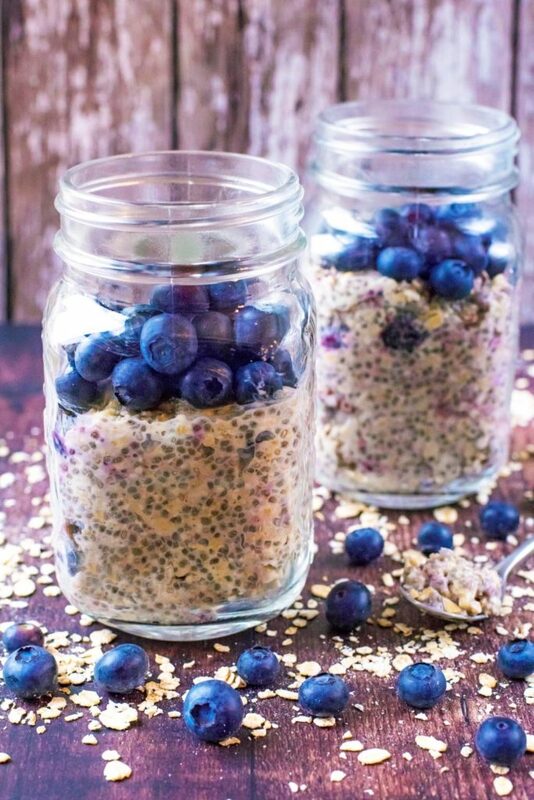 Throw them in to your pancake or waffle batter before cooking, mix then in to yoghurt or try our Blueberry Muffin Overnight Oats. Popeye was on to something when it came to spinach. It is a good source of vitamin A and K, iron and calcium, but what makes spinach really super is how easy it is to hide in recipes – making it the perfect vegetable to give fussy eaters. Blend it in to a smoothie to make a super green smoothie, or chop loads of it up and throw in to a pasta sauce, or under the marinara on a pizza. Kids will never know that it’s there! Not only does turmeric give everything a super colour (thanks to the curcumin in it), but it has a whole host of health benefits. It is the superfood ‘du jour’, which is why you will be seeing turmeric lattes and smoothies everywhere. You can’t call yourself a hipster without a photo of a turmeric latte on your Instagram grid! 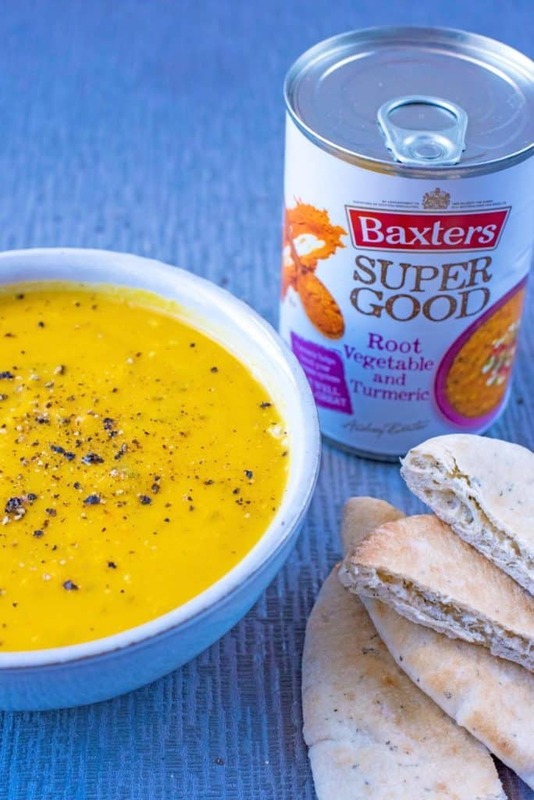 If you don’t fancy having some turmeric in your morning brew, then why not enjoy it in a bowl of Baxters Root Vegetable and Turmeric Super Good Soup, which is our favourite warming lunch at the moment. Turmeric comes from the ginger family and is often used in Indian cooking to add colour and flavour. It adds a noticeable, but still subtle flavour to this soup and it made it really warming. Turmeric helps to boost your immune system and it’s a great source of vitamin B6 and potassium. Whenever we feel like you have a cold coming on, we have something packed with turmeric, like a bowl of this soup, and it always gives us a boost. If turmeric isn’t your thing, then they have some delicious other flavours in their Super Good range that all include every day superfoods. You can choose from Chicken, Broccoli and Rice; Tomato, Orange and Ginger (this has a great ginger kick to it); Pea, Broccoli and Basil Pesto; Fiery Fish Bisque and Chicken Noodle Soup, which is a must if you are feeling unwell. These are great cupboard fillers for a quick and filling meal when you need a every day superfood boost. Now, if you have been a reader of this blog for a while, you will know that we aren’t afraid of garlic in our recipes. We believe the more the better! Whilst evidence shows that the health claims of garlic are only valid if you are eating a ton of garlic a day, we think it’s a superfood because of the flavour. Garlic has such a strong flavour that you can use it in replace of salt. Let’s face it, most of us could do with having a lower salt diet. 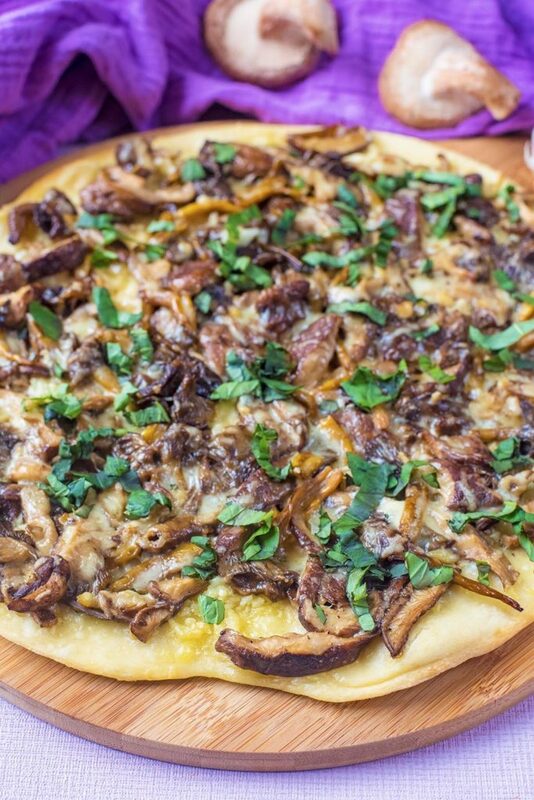 I could write a whole blog post on our favourite ways to eat garlic, but here are some recipes for you to try: Garlic Mushroom Pizza, Tomato and Garlic Chicken Curry and 15 Minute Garlic and Herb Spaghetti. You can add a little bit of garlic to practically any recipe though. We try to eat at least 2 portions of oily fish a week, and we usually go for salmon because it’s easy to cookand our favourite. A good source of protein, omega 3 fatty acids and vitamin D and it can also reduce the risk of cardiovascular disease, which is why the government recommend at least one portion of oily fish a week. It’s not just salmon, but mackerel and sardines too. These are cheap to buy in a tin and keep in the cupboard for a quick lunch. Sardines on toast is often a lunchtime option in our house. We usually keep it simple when it comes to salmon and we grill it with some cajun seasoning on top. Once cooked, we flake it and add it to salads. There is so much more that you can do with salmon though, such as Creamy Salmon and Chive Lemon Pasta or make a salmon burger. Let’s start by saying, please don’t boil broccoli within an inch of its life, because you are loosing precious vitamins. It’s a good source of vitamin C and folate and probably our favourite green vegetable because there is so much you can do with it. Don’t just settle for boiled broccoli, because you are missing out. 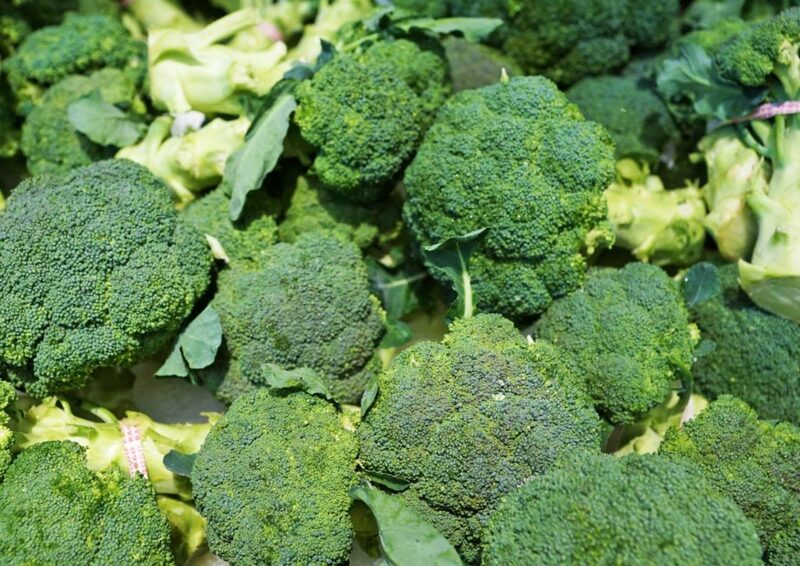 Try roasting it with some olive oil and garlic or mashing it up with potato in an easy Broccoli Potato Mash. If you want to hide it in something that kids are going to LOVE, then make these Cheesy Baked Broccoli Bites. Broccoli and cheese – it’s a match made in heaven. We love tenderstem broccoli. That always gets added to any kind of noodle dish we have for some colour and nutrient boost. 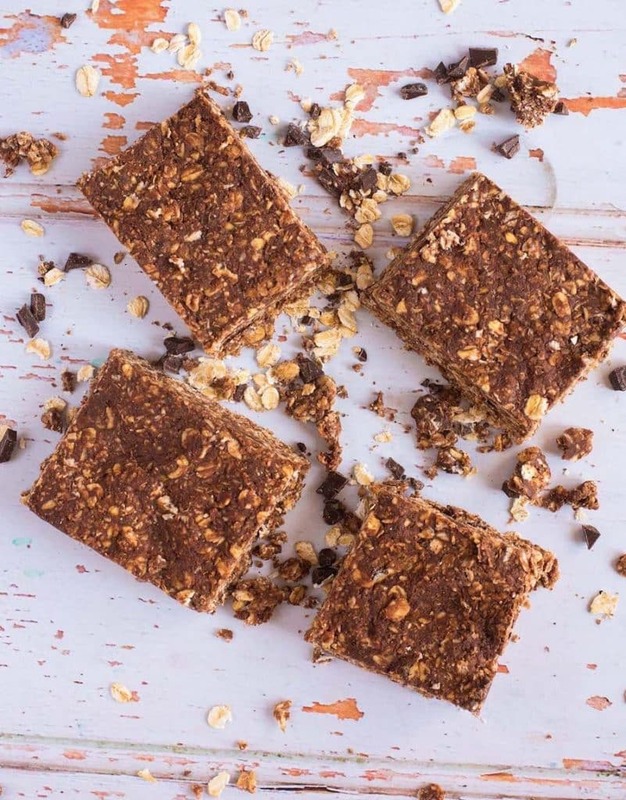 We could do a post about superfoods without mentioning chocolate, could we?! Chocolate comes from cocoa (but it’s processed and sweetened), and cocoa is packed full of iron, magnesium, zinc and antioxidants. Evidence has shown that dark chocolate can slightly lower blood pressure – when part of a healthy balanced diet of course. We are going to focus on dark chocolate being a superfood in terms of mental health. We don’t believe in depriving yourself totally, as it isn’t fun for anyone and usually ends in binging on the food you were trying to avoid in the first place. A couple of squares of dark chocolate each day can do wonders for your mental health and help to keep you on track with your health and fitness goals. Before turmeric became an everyday favourite superfood, pomegranate was the talk of the town. Not just a good source of vitamin A, C and fibre, but these little middle eastern jewels brighten up any dish and add a burst of flavour with every bite. We think pomegranate is a superfood because it adds lots of extra flavour to meals, without lots of extra calories. We sprinkle them on to salads like our Butternut Squash Coleslaw or one of our favourite summer lunches is our Hummus and Pomegranate Flatbread. Nuts are always our go-to for a healthy snack option and that’s because they rich in vitamin E, which is good for heart health and they have the highest antioxidant activity of any nut. 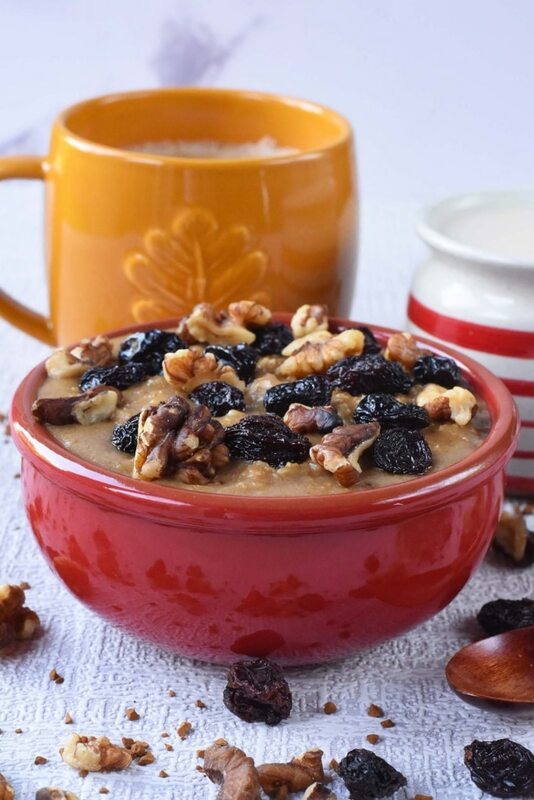 With lots of omega-3, walnuts have the same benefits of oily fish which makes them a superfood in our books. Although they are fairly high in calories, they are a great snack option and you can add them to lots of your meals too. Sprinkle some on a salad, on your morning porridge or try using walnut oil in your salad dressings. You didn’t think we would make it through the list without talking about my beloved avocado! We are saving the best until last. A fantastic source of healthy fat, half of your daily fibre recommendation and so easy to add to your diet. If you are one of those people that don’t like avocados (shocked face), then you can blend it up in to a smoothie, which makes it really rich and smooth. Of course guacamole is the classic way to eat it, but have you tried Kale Guacamole? Just chop up some kale and mix it into the guac for a nutrient rich dip. You could just keep it simple by putting it on toast with a squeeze of lemon juice and some chilli flakes for breakfast or adding some chunks to a salad. 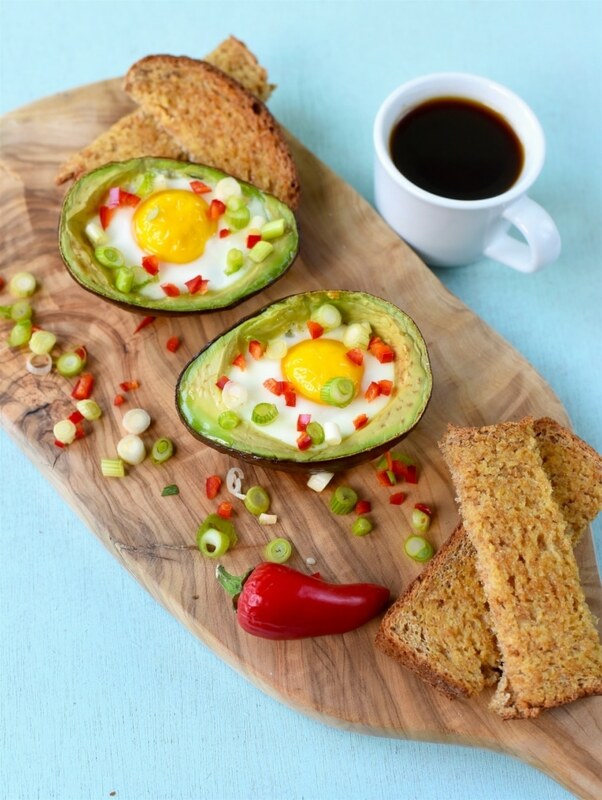 Did you also know that you can bake eggs in an avocado? What are your favourite Superfoods and how do you include them in your diet every day? Leave us a comment to let us know. I’ve been eating keto for awhile now, and avocado is my go to super food. My fav is Keto Avocado Chocolate Mousse. P.S. Your food pictures are beautiful. I have my diet program, there are blueberries, avocado and spinach. These foods are very effective in losing weight. Highly recommendable. By the way, thank you very much for the article. Very informative article, its very clear that we shouldn’t get worried adding these super foods on our diet. I think you got to the point with this article, very useful both for those who must lose weight but also for those who want a healthy diet. I confirm that I rotate more or less all the foods you mentioned thanks to a diet I’ve been doing for a couple of months and I’ve had great satisfaction. Obviously, there is never less than 20 minutes of walking a day. So many great ideas here – especially stuffing spinach under the cheese and sauce of pizza! Tomorrow’s pizza night in our house, and you can bet I’ll be doing that! Ha! Love these tips, some of these are big favorites in our house as it is. All great ideas. I love tumeric in my smoothies. thankyou for this list the pictures in this article are soo good ad it give us an idea tat we can eat each of these food in a different way staying healthy is important. Chocolate is my number one food source these days! Hahahaha everything else comes second. This round up is amazing and will totally help me keep my kids eating a balanced and amazing diet! It’d have to be porridge oats, every morning without fail. I’ll be honest and say that it’s probably my favourite food – it’s flawless. I could do with adding more of these in to my diet. Lots of great tips here, thanks for sharing.